The weather has been bitterly cold in Kansas of late, and I finally broke down and bought something I’d always wanted: a hot water bottle. Once it arrived, I knew it would need a cozy. A quick turn through Ravelry and I found the perfect pattern: Handspun Hottie by Laurie Claire. Handspun Hottie by Laurie Claire, pattern available for free on Ravelry. Then I went diving into my bins of handspun fiber to find just the right yarn. 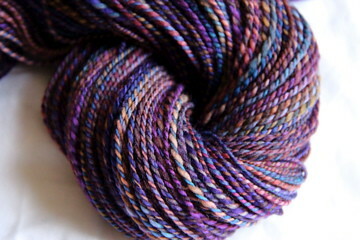 I found some fabulous fiber dyed by Two If By Hand that I purchased and spun in 2011! 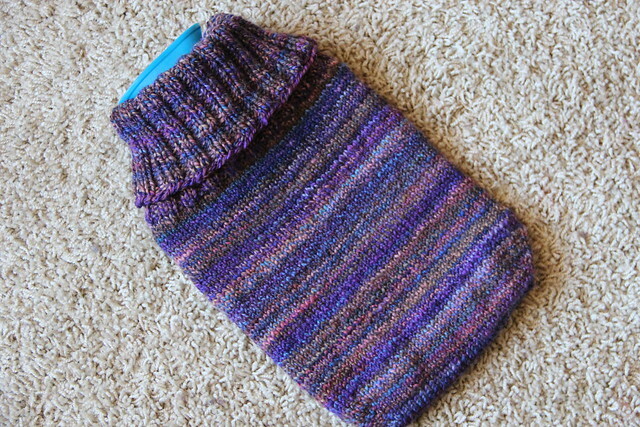 Two short days and I had my very own hot water bottle cozy! Love the cozy AND the name! Handspun Hottie? Awesomesauce. Thanks! It’s a freebie on Rav! 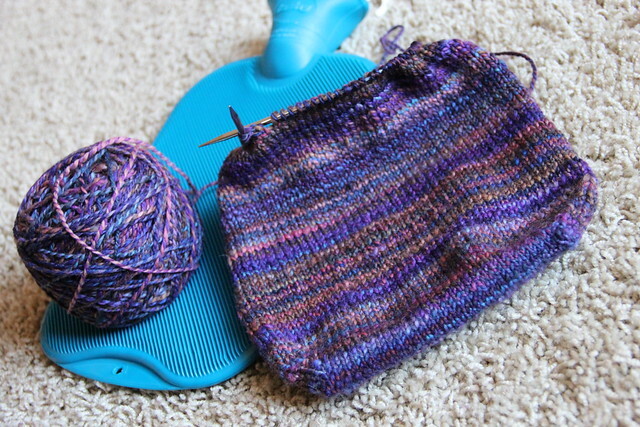 Next The Corner of Knit & Tea: Episode 24, A bit of a short one.